← How Important Is Place To A Story? 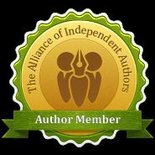 Today you’ll find me over at historical fiction author and fellow ALLi member Fenella Miller’s blog talking about my experiences as an Indie author – and why I would or wouldn’t self-publish again. Pop over to her blog if you want to know whether I would do it again. This entry was posted in August 2013 and tagged Dianne Ascroft, Fenella Miller, historical fiction, Indie publishing. Bookmark the permalink.